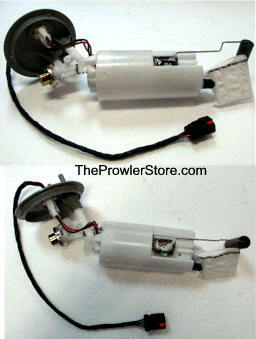 New original Factory Prowler fuel pump assembly. Choose year group. Yes we have both in stock. The exact real original pump your Prowler came with from the Chrysler. Include note inside with your name and address and phone number so we can credit you. Don't be fooled by other brands that say they will fit - they won't! 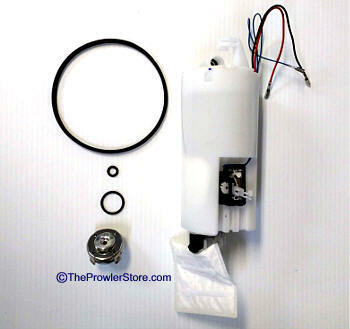 Comes with the bottom canister assembly, rubber seal, filter, fuel pump and regulator and connector. 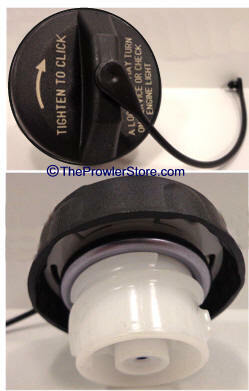 You reuse your factory pump assembly "top hat" by attaching it to this bottom half of canister. 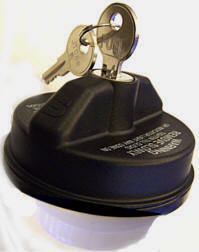 Plug and play easy assembly. 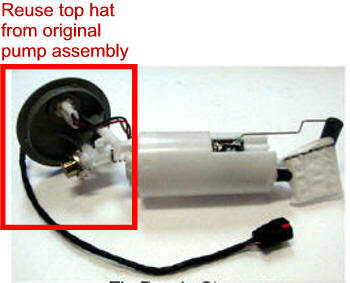 This kit replaces the part of the fuel assembly pump that most often goes bad - the bottom half of the canister. 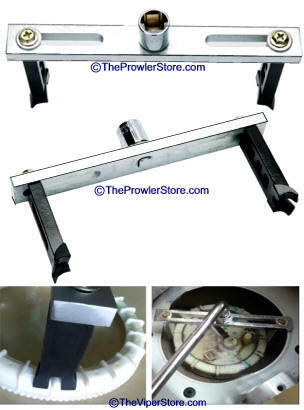 Best Prowler Repair Kit Available! Comes with special connector for easy installation.